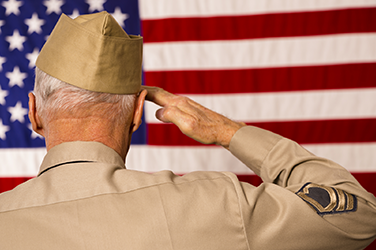 We honor those that served our country and take pride in the options that we offer to the families of our veterans. Not only will our funeral home staff help with all military funeral arrangements, but we will also procure a Presidential Memorial Certificate and American Flag for every eligible veteran. The first step is to verify that the deceased is an eligible veteran. You can do so by clicking the link above and going through the checklist provided by the Veteran's Administration. When burial is in a national cemetery, National Park cemetery, or state veterans cemetery the cemetery officials order a headstone or marker and use inscription information provided by the next of kin.